Mathematics. It's the foundation of our daily transactions, national economies and world politics, but could it also help us to control bushfires, infectious diseases and even cancer? 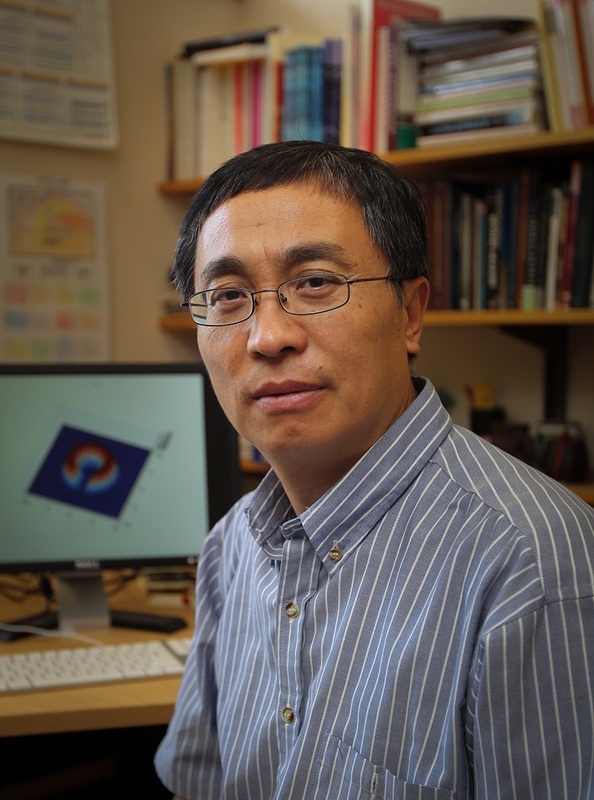 Image: Professor of Mathematics, Yihong Du. At the University of New England, Professor of Mathematics Yihong Du is leading international research to apply pure mathematics to a range of complex real-world problems - from measuring the impacts of climate change and how wounds heal to the march of invasive species. And it's all because of the predictable way that things spread. "The propagation of anything - nerve impulses, diseases, river systems or cancerous cells - follows certain common rules," says Professor Yihong Du. "These rules can be captured by mathematical models and used to make useful predictions for how things spread and therefore how they might be contained. I want to create new mathematics of lasting value." Professor Du's ground-breaking work, with collaborators in Australia, China, Japan, Spain and the United States, is investigating how pure mathematics may help solve vexing questions in the fields of chemistry and biology. Over the past 10 years, he has pioneered work on the precise location of spreading fronts and contributed greatly to our understanding of how and how fast things spread, where they establish new territory, and even how much their habitat can accommodate. A recently awarded $464,000 ARC Discovery grant, his eighth, will support further research. "My work concerns propagation, the spreading process, but not everything spreads in the same way," Professor Du explains. "I am trying to establish a very basic mathematical model to improve the accuracy and precision of predicting and measuring propagation phenomena. People working on concrete problems can then add on the specifics that suit their particular situation, whether it's population dynamics or chemical reactions." With any propagation - be it a new species moving into a landscape or a disease taking over a human body - there are two possibilities. The subject will die out (the vanishing possibility) or successfully establish itself (the spreading possibility). "Better understanding the way that organisms or systems work at the environmental and cellular level may help to combat problems," Professor Du says. "More and more people are working on the mathematics of how cancer cells spread. However, in other cases we might want to understand how to enhance propagation - like healing wounds - and speed it up." Discovering practical applications that benefit society is the aim. "My team is motivated to help tackle concrete problems in the real world," Professor Du said. "I am proud that ours is a largely Australian-owned theory, addressing matters of increasing international importance." Mathematical modelling can save considerable time and money. "Experimentation in medicine and ecology can be very expensive," Professor Du says. "This way we can use mathematics to improve people's lives. This kind of maths really excites me."